I recently wrote a post on whether it is easier to move or improve your home and as expected, many agreed that it is always so much easier to transform and decorate your current property. The hassle of actually selling your home, packing and then moving can be a tad too much, meaning more people would choose to actually redesign their home instead. 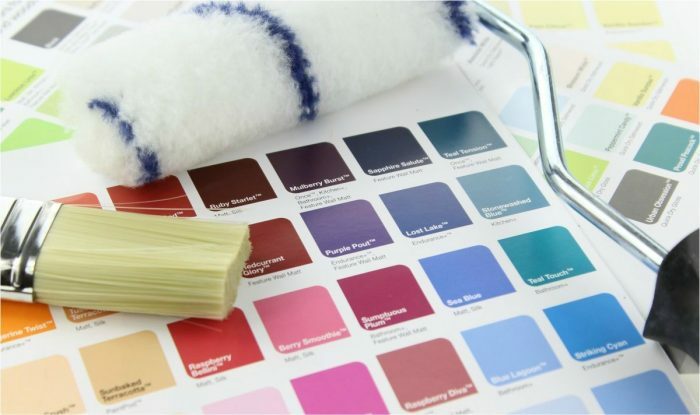 With so many ways in which a property can be transformed, whether by decorating or going to the extremes of building work, the look of a home can easily be changed with a simple coat of paint. B&Q have the ability to mix up pretty much any colour you wish, so don’t feel that you need to buy a colour straight from the shelf! Recent posts have detailed hints and tips on how you can make a small bathroom appear much larger. Lighting and a neutral decor can really help to give the impression the room is larger than it is – such simple tips can make a huge difference! If you are looking at adding an extra room to your home, then the ideal solution is to build up into your loft, if you have the space. Friends of mine have done just this and the converted space now features two double bedrooms and a play area, meaning their children have their own space where they can make as much noise at they wish! The house has been totally transformed from a 3 bedroom home into a 5 bedroom, just by utilising space to the maximum potential. Sky lights are key to adding lots of natural light into loft conversions. For added privacy, blinds are a great way to ensure a good night’s sleep, VELUXblindsdirect have a wonderful selection of blinds including funky Colour collection blinds designed by Scholten & Baijings. If you are looking to make use of your outdoor space, then building a portico will enable you to use your outdoor space all year round, in all weathers – a heater will definitely be required in the Winter though! A portico is simply built onto the side of your house to add a covered area, without the restrictions of a conservatory… and is on my wishlist! What plans do you have to transform your home?